The Extension Room has found a new home in a non-descript industrial building on Eastern Avenue, just east of Parliament. Step inside, and the bright, airy space evokes images of Degas paintings. 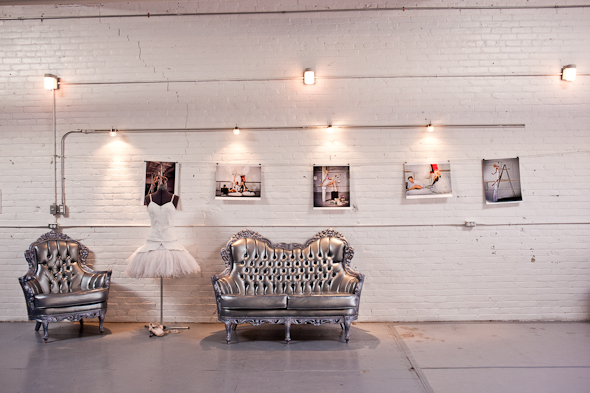 The Extension Room specializes in all aspects of ballet-style fitness training and it has found an ideal setting. 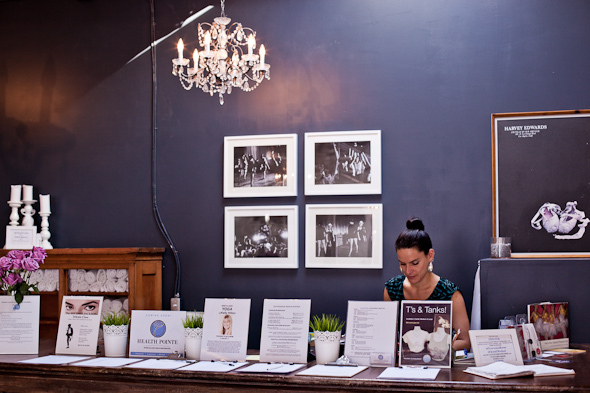 The Studio's elegance comes from high ceilings, soft white walls with accents of grey and silver, and crystal chandeliers that add just the right amount of sparkle. Having done no ballet since the tender age of seven and generally moving with the grace of an inebriated elephant on roller skates, I am pretty nervous on my first visit. I'm not sure what worries me more: that I will fall and break a bone, or that I will disrupt the entire class and make a fool of myself. Fortunately, owner and instructor, Jennifer Nichols, quickly puts me at ease. She reports that two-thirds of her clientele have little dance background, and that she has intentionally made her classes accessible to everyone. Nichols is lithe and looks every bit the part of a ballet dancer. Teaching 30-odd classes a week on top of performing clearly agrees with her. This woman is obviously as enterprising as she is talented and creative. Nichols has been dancing for 20 years, training and performing across Canada. Aside from running the Extension Room and teaching the majority of the classes, she continues to perform and runs a commercial dance company, Hit and Run Productions . I attend her signature class, the Allegro Ballet Bootcamp and am joined by nine other women, which is a fair turn out for 10:30am on a Wednesday morning. Nichols definitely has a devoted following. Although the class incorporates many aspects of classical ballet that I have long forgotten, I manage to follow along. She choreographs steps that beautifully conform to the music - which is not Tchaicovsky, by the way, but rather a mix of popular music including Michael Jackson and Cold Play. It's recommended to do the class in bare feet, but Nichols is accommodating and encourages anyone with foot, ankle or knee injuries to wear shoes, if they prefer. The large, open main space is chilly, but the workout will warm you up quickly. The Extension Room has private change rooms for men and women, with showers for those who 'glisten' after a hard workout. A single drop-in class runs $18-$20 each, with packages of classes offering discounted rates. There is also a student rate and a $40 two-week unlimited special for first-timers. If you have ever fantasized about taking up dance, but have been too intimidated to try, I encourage you to drop in to The Extension Room and take a class. You may just find your inhibitions melting away as you pirouette yourself to better health and fitness.